Is Weight Discrimination Associated With Physical Activity Among Middle Aged and Older Adults? Older adults (> 65) are less physically active than all other adult age groups. Although experiences of weight discrimination have been inversely associated with physical activity in several studies of middle-aged and older adults, the role of weight discrimination in this relationship has not been sufficiently explicated. 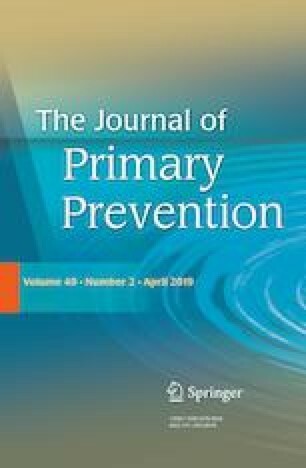 Using data from the Health and Retirement Study (a longitudinal panel study of U.S. adults aged 50 and older), we hypothesized that, among middle aged and older adults, weight discrimination would (a) be inversely related to respondents’ reported level of physical activity; and (b) partially mediate the relationship between BMI and physical activity. Using multiple logistic regression analysis, we found an inverse relationship between weight discrimination and vigorous physical activity (OR = 0.79; 95% CI [0.66, 0.94]), as well as between weight discrimination and moderate physical activity (OR = 0.76; 95% CI [0.62, 0.92]). Weight discrimination mediated 13% of the relationship between BMI and vigorous physical activity, as well as 9% of the relationship between BMI and moderate physical activity. Weight discrimination may thus pose a barrier to regular physical activity among middle aged and older adults. Future research and interventions should identify effective ways of mitigating barriers experienced because of weight discrimination in the promotion of physical activity among these age groups, as well as how we may effectively reduce the perpetration of weight discrimination in various settings. The research presented in this manuscript was completed as part of the doctoral dissertation of the first author. The authors presented portions of the research at the 2015 Oregon Public Health Association Conference and the 2016 American Public Health Association Meeting. The authors acknowledge additional members of the first author’s dissertation committee for their input and feedback on the study: Viktor E. Bovbjerg, Ph.D. MPH; Brian R. Flay, D.Phil. ; Jane Ishmael, Ph.D.
Carr, D., & Friedman, M.A. (2005). Is obesity stigmatizing? Body weight, perceived discrimination, and psychological well-being in the United States. Journal of Health and Social Behavior, 46, 244–259. Retrieved from https://aging.wisc.edu/findings/pdfs/280.pdf. Crimmins, E., Guyer, H., Langa, K., Ofstedal, M., Wallace, R., & Weir, D. (2008). Documentation of physical measures, anthropometrics, and blood pressure in the Health and Retirement Study. http://hrsonline.isr.umich.edu/sitedocs/userg/dr-011.pdf. Accessed February 22, 2019. Øfstedal, M. B., Weir, D. R., Chen, K. T, & Wagner, J. (2011). HRS documentation report: Updates to HRS sample weights. http://hrsonline.isr.umich.edu/sitedocs/userg/dr-013.pdf. Accessed February 22, 2019.